area because these materials are most familiar to them. The exercises of Practical Life have objects and materials normally encountered in everyday living experience such as cleaning, pouring, dressing, and polishing. Care of the Environment; Grace and Courtesy; and Control of Movement. 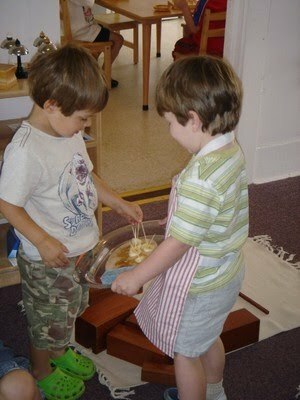 Many are fundamental exercises that the child needs to master to be able to live comfortably in the real adult world. concentration, a sense of personal independence, and a sense of order. 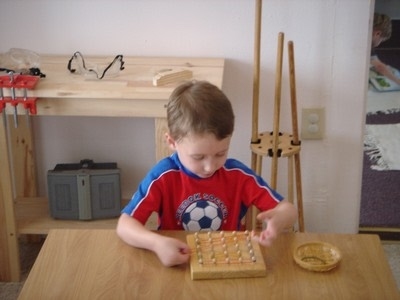 essential for the mastery of the other more advanced areas of the Montessori classroom.